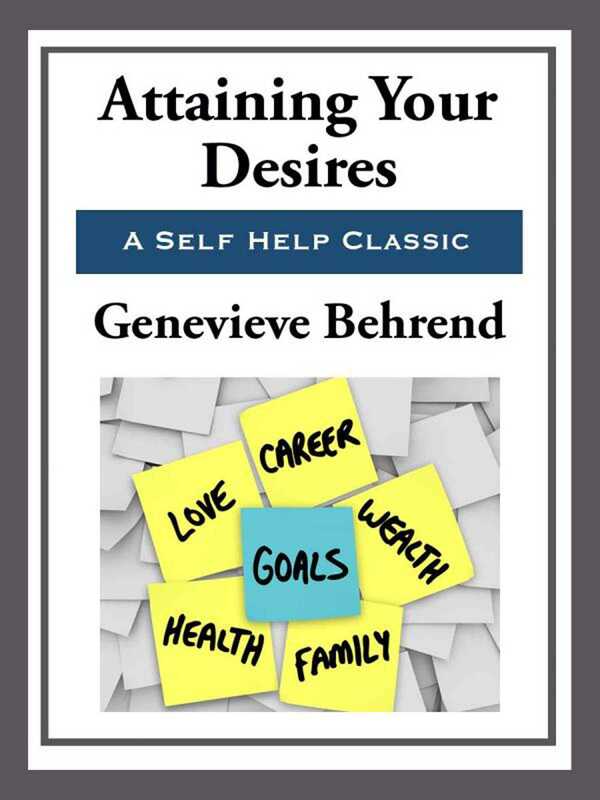 Genevieve Behrend was Thomas Troward's only pupil and was very well versed in the Law of Attraction and in the power of positive thinking. Attaining Your Desires is a simple guide to using the Law of Attraction in your everyday life. Chapters include How to Get What You Want, How to Overcome Adverse Conditions, Strengthening Your Will, and Making Your Subjective Mind Work for You. Long out of print, this landmark book is now once again available in its original, intended form.